I don't own a lot of Anat Cohen's music. Which actually see a bit of mistake on my part, that needs correcting. With a love colour, Anat Cohen has always created a sensual a fun palette with each record. On her most recent, Claroscuro, she delivers another multi-faceted affair. With her mainstay bandmates Linder, Freedman and Martin and the addition of Wycliffe Gordon, Gilmar Gomes and Paquito D'Rivera on selected tracks, Cohen moves from various themes with Brazilian, African and New Orleans influences. Cohen takes us on a journey with playful imagines and lovely blues melodies on "La Vie En Rose." With Gordon taking on the classic vocals. At first, I was a little taken aback as didn't read the credits and was expecting an instrumental. As it turns out the vocals work perfectly. Cohen's tone is delightful, airy and caring. "Nightmare' (the classic Artie Shaw tune) is transformed by the transcendent melody of Cohen's clarinet and melodic yet groove-filled pace of Martin's fingers along the bass. "Kick Off" is a Cohen original and I love the rhythm and percussion that dominates the piece. It's slow building and the Gomes adds a lot of detail to the conversation with Cohen. 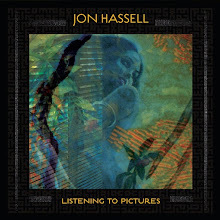 It's intense and very much a tune for introspection. "Anat's Dance" similarly shows the versatility of Cohen as leader and musician. While the tune was written by Linder, it is very much Cohen's piece. But she gives each member an opportunity to move freely in and out the lines. This is a group that knows each other very well and their freedom shows on this piece and through the session. So, another bright session at a close. Claroscuro is an exciting, lively and fresh work that should be in the hands of as many jazz fans a possible. 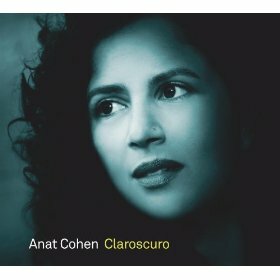 It took me a long time to discover Anat Cohen's music but I have never been disappoint by anything I've heard. Well all the time and effort seeking out.